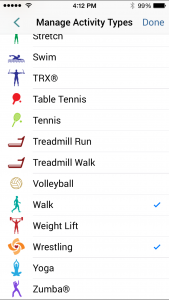 If your favorite workout type is missing from our list, use the “Other” workout type to customize. Swipe until you reach your new workout type. Now you are ready to go! Tap the play button to start a workout. 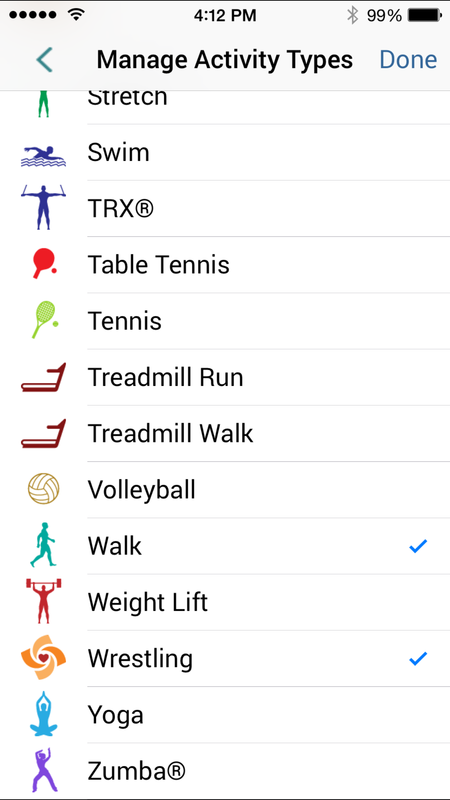 If you want to remove the workout type from the home screen, tap the gear icon -> Customize Home Screen -> then tap “Wrestling” so the check mark no longer shows next to it.